A berry that grows from a thorny bush and are often referred to as a drupelet which is a cluster of fruits like grapes in which each cluster contains a seed that promotes the nutrition benefit of each berry. Studies have shown these to have the highest antioxidant level of any food tested. One antioxidant to name is the anthocyanins which give the berry its rich deep purple color. 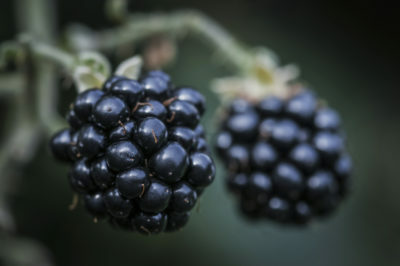 Another fun fact about these luscious berries, bees that feed on their blossoms produce dark colored, fruity honey. Other: Great source of fiber, phytonutrients, and antioxidants. Mental Health: Manganese that is abundant in these berries has been shown to have an effect on improving cognitive functions of the body. This may also prove to be useful in enhance the memory performance, behavioral, and neural functions. 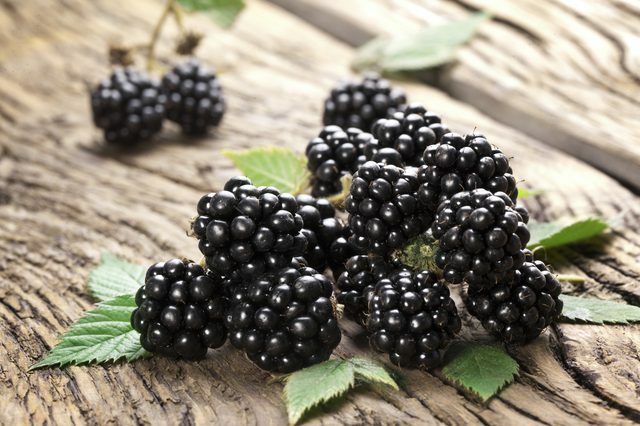 Anti Inflammatory: Known for its highest antioxidant potential, blackberries act as an anti inflammatory against oxidative stress and can aid in disease prevention. They contain phenolic acids, flavonoids, and flavonols. Skin Health: Each berry is packed full of skin loving vitamins and minerals like; vitamin C, vitamin E, and potent anti oxidants. Vitamin E helps to maintain healthy skin fats and prevents skin from wrinkling. Vitamin C is responsible for the production of collagen which helps the skin to stay toned and tightened. It is also responsible for protecting the skin from oxidative damage. Boost Immunity: Immune system boosting due to its high content of many vitamins, minerals,and phytoestrogens. This could help fight disease and infections in the body. Digestive Health: These berries contain both insoluble and soluble fibers which are essential for a healthy functioning digestive system. The insoluble fiber is good for proper absorption of water into the large intestine. Both of which slow digestion which can help to absorb nutrients and steady the blood sugar throughout the day. Cardiovascular Health: Vitamin K contained in these berries makes them important for a healthy heart. This vitamin is known to stop the hardening of arteries by pushing the calcium out of them and preventing the build up. Frequent consumption of them can also help with keeping a normal blood pressure. Pour into a bowl and top with a couple blackberries, tsp hemp seed, and tsp of chia. Enjoy!